Jade loves to draw before she goes to sleep. 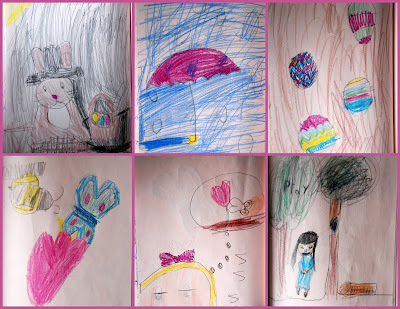 Here are some of the latest pictures she has done. I am so proud of her and her talent. I sure hope that she keeps it up because it is very fun to see her be excited about her progress. Plus I love checking out her sketch book every night while she is asleep. these are precious drawings!!! thanks for visiting my blog!